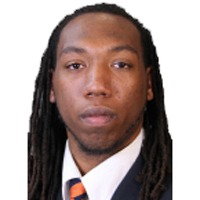 Virginia football coach Mike London announced today that quarterback Phillip Sims is ineligible and and will no longer be enrolled at the University after completion of his current summer school session. A native of Chesapeake, Va., Sims completed his sophomore season in 2012 after transferring from Alabama last summer. “The thing we tell the young men who come to the University of Virginia to receive a world-class education and play for our football program is pretty simple,” said Virginia coach Mike London. “Go to class. Show class and treat people with dignity and respect. Those directions are pretty easy to follow and they will lead you on a path of success. “When an individual strays from those directions, it is very disappointing to me. Phillip Sims did not make the commitment he needed to succeed here. I appreciate his efforts last season. He is a very talented young man who is blessed with some extraordinary athletic abilities. I still believe Phillip Sims can and will be a successful person. We will do what we can toassist Phillip in continuing his academic and athletic opportunities elsewhere.